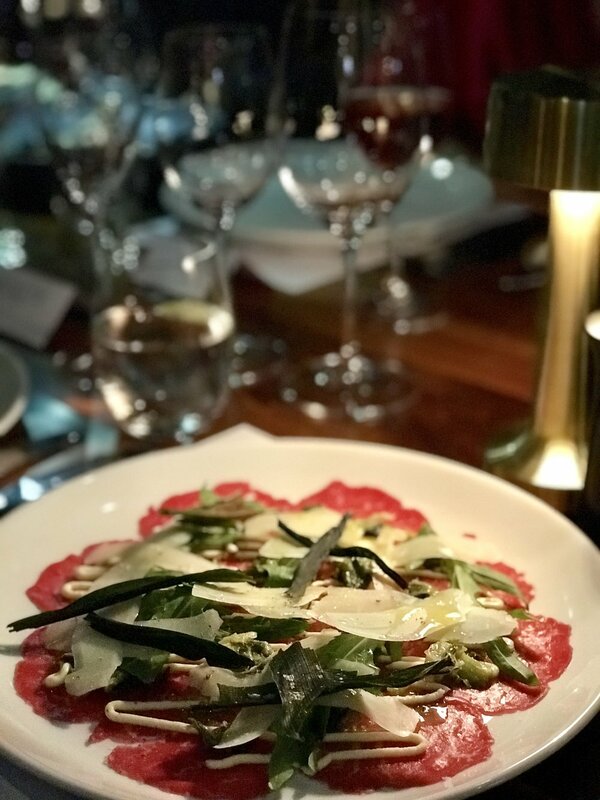 Persone, located in the glitzy new Brisbane Quarter, serves modern Italian cuisine against a backdrop of simply spectacular Brisbane views and is without a doubt my new favourite Italian restaurant. In Italian Persone means ‘people’ and I’m certain that the people of Brisbane are going to fall in love with the newest restaurant from the Gambaro Group, a name that is synonymous with the Brisbane seafood and restaurant scene. I was invited to dine at Persone this week and our night commenced with a drink at the bar and then a personally guided tour through the restaurant by John Gambaro. This stunning new dining destination encompasses a separate bar area, private dining room, wine tasting room and main dining area which offers stunning panoramic views of the Brisbane river and city skyline, exquisite Italian cuisine, and outstanding service, there was nothing I could fault during my visit to Persone. I can highly recommend the Polpette and Arancini for Antipasti, Gnocchi Al Pesto for Primi and as a lady who loves dessert I fell head over heels in love with the Crostata Di Fichi. While I am no food critic or journalist, simply a lady that loves great food, a glass of bubbles and a stunning view, Persone ticked all these boxes for me.